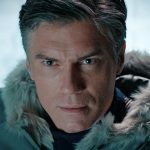 Star Trek fans who have been dying for the next look from the set of Star Trek: Discovery don’t need to wait any longer. 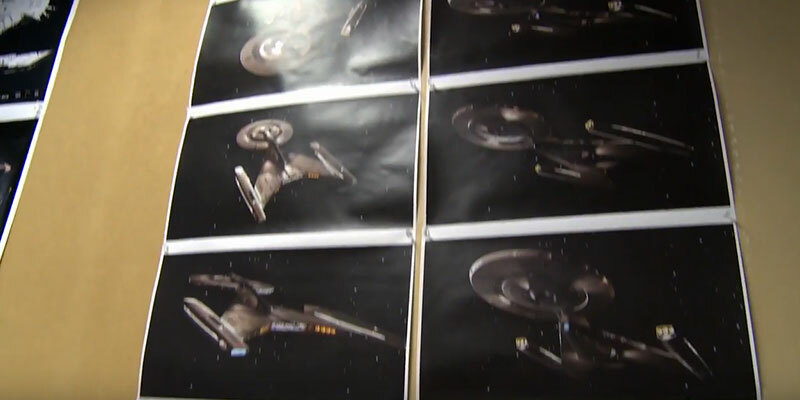 CBS has released a minute-long video with some interesting shots of what the Discovery team is working on. First, if you haven’t already seen it, check it out below. Then, read our full breakdown. 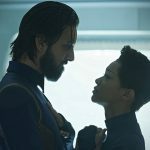 The trailer first sets the stage for why Discovery exists at all. 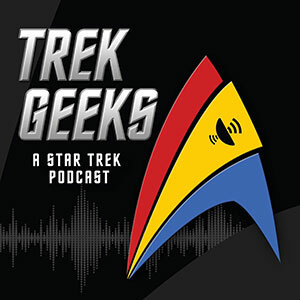 Flashing back to March 11, 1964, the trailer notes that this is the day that Star Trek creator Gene Roddenberry first envisioned what Star Trek was going to be. 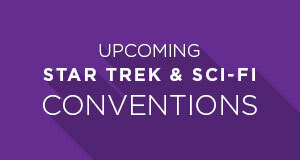 What follows is a collage of the various Star Trek series, and that they represented what it meant to be Star Trek. Now, Discovery is going to continue that tradition. We are then treated to quick glimpses of various production aspects of the show. 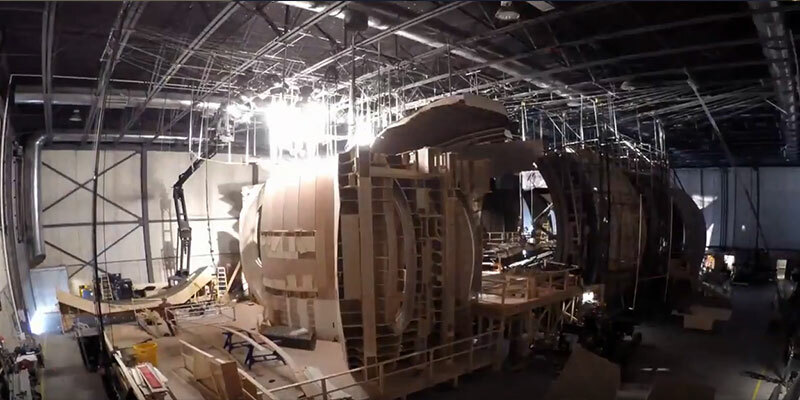 First, we see a set under construction. 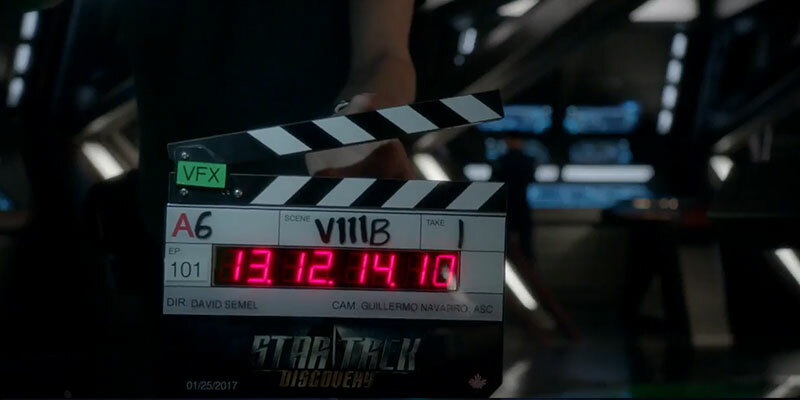 While it is hard to determine what exactly this location in the show is, the tightness of the set suggests it night be a location from one of the ships in Discovery. The scene then quickly transitions to a shot of a director’s marker from the first episode. 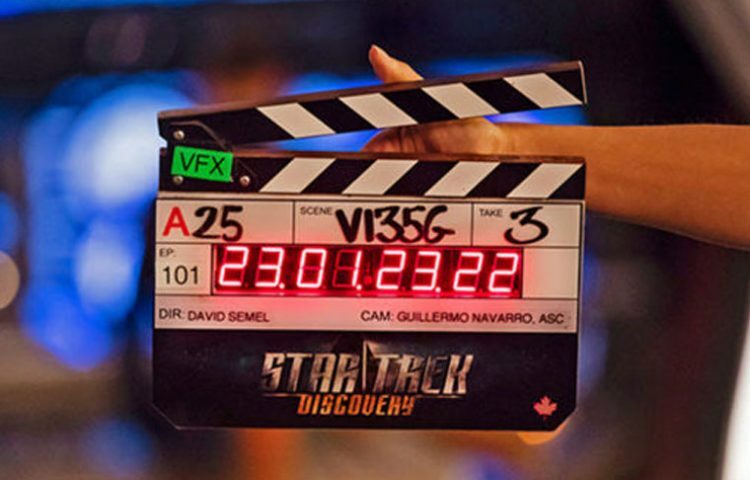 In the background, there appears to be a character operating a blue, Federation-esque console. Perhaps the Discovery‘s bridge? 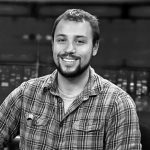 The next notable glimpse is when the trailer announces that production has begun on the show. 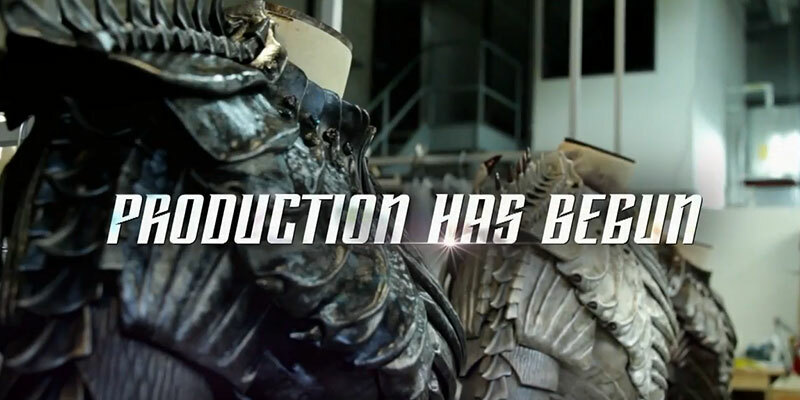 We see two alien-looking costumes, including chest and shoulder pieces with a prominent spikey design. Next, the exterior of the Discovery itself is shown from multiple angles, including the traditional “heroic” view of the ship. These models look akin to the short appearance of the ship we received at San Diego Comic-Con 2016. 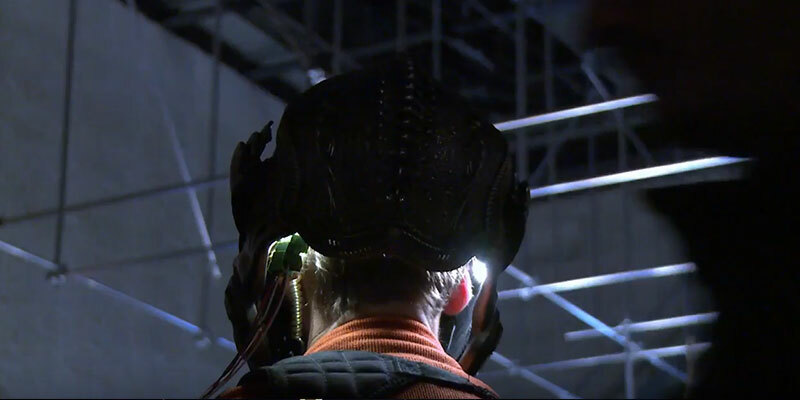 We next get a glance of what looks like an alien headpiece. 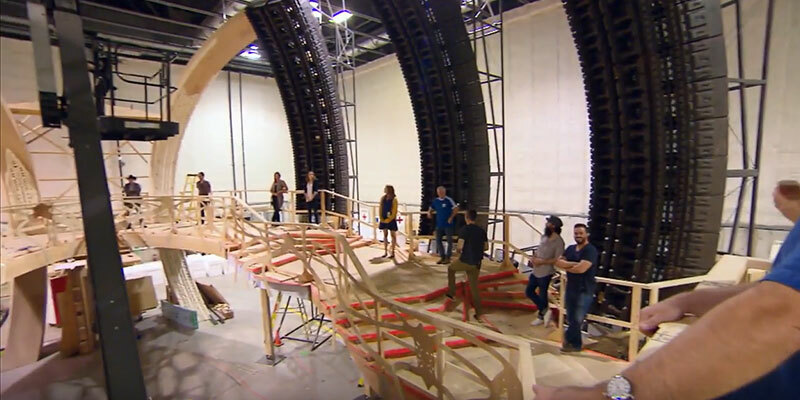 The shot lasts for less than a second, but we see the back of an actor or production team member’s head as he wears the wired headset. 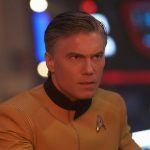 Finally, we get a glance at the Federation uniforms worn by the crew of the Discovery. This shot shows the updated insignia, and gold stripes, which historically indicates a command uniform. 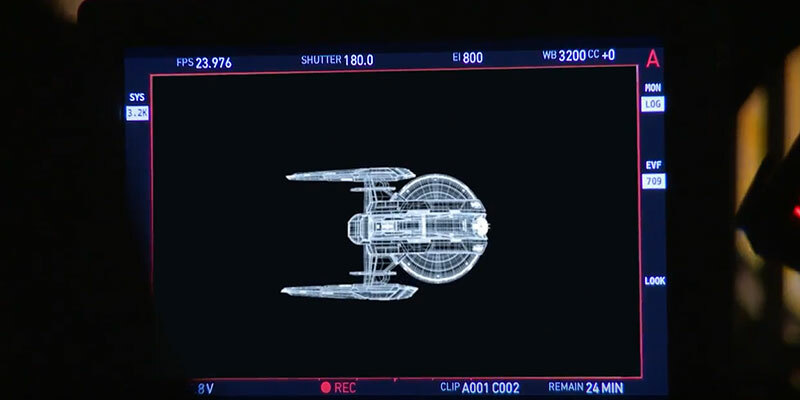 We get another ship design here, albeit in wireframe, in the form of an unidentified Federation vessel (judging by the hull structure). While this is conjecture, the front of the ship contains what might be a deflector dish, reminiscent of Enterprise from Star Trek: Enterprise. The hull struts linking the saucer to the secondary hull is also reminiscent of that ship. Considering the show takes place between Enterprise and The Original Series, this kind of callback wouldn’t be unexpected. We next get a schematic of a bridge, although no clues are given as to which ship this might be. 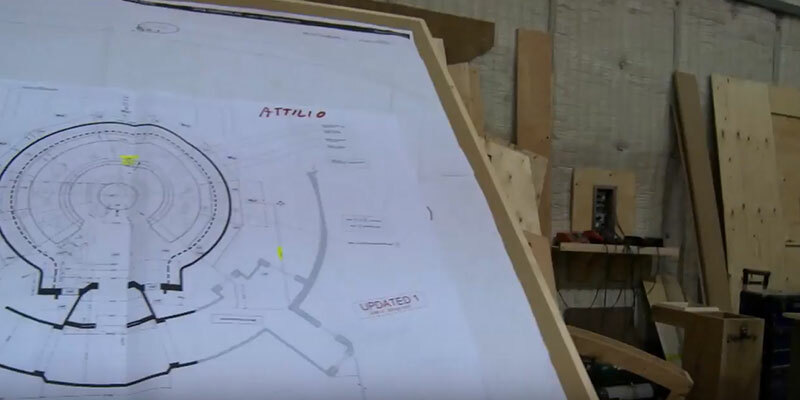 The construction of a set is shown next, and judging by the black arches and unusual walkway, it doesn’t seem to be a Federation ship. Several production members are shown, as well. 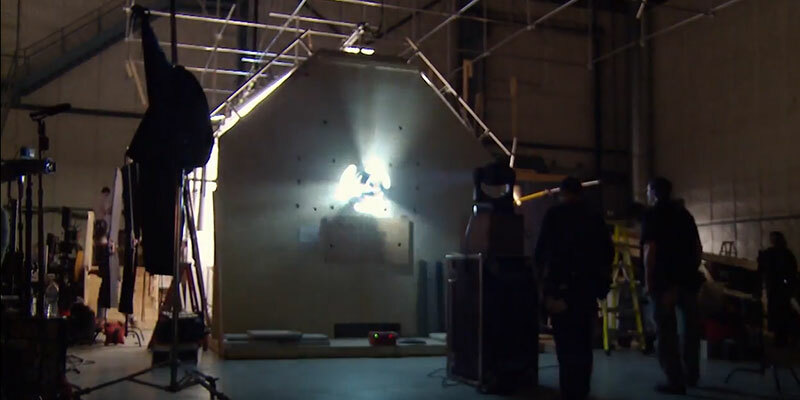 Another set picture is next, showing a rotating light within a small, enclosed room. 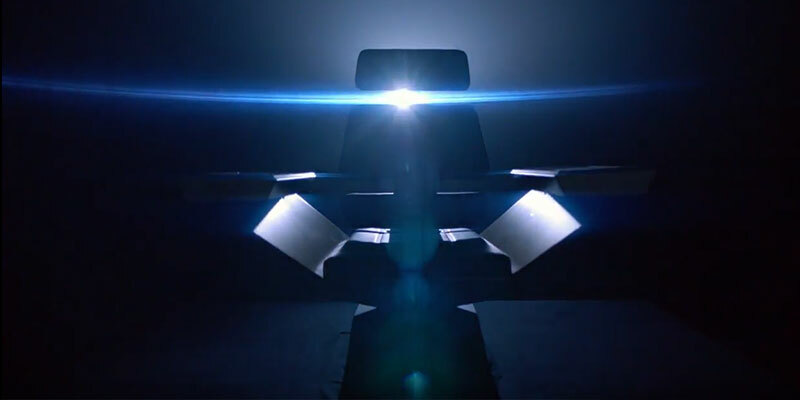 And finally, the famed captain’s chair, a hallmark of any Star Trek starship. This one is slightly reminiscent of Captain Kirk’s chair from TOS, at least from the two smooth bulky sides and what looks like control buttons on the arm rests. 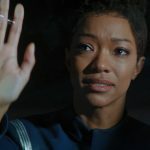 Possibility another callback to Discovery’s ancestry. 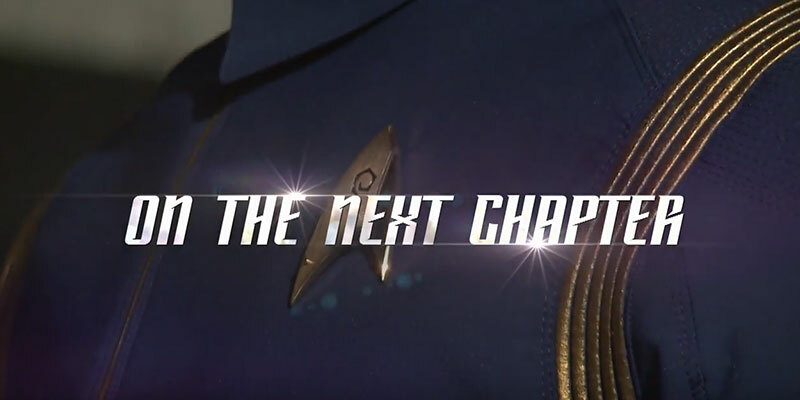 The trailer ends with an updated logo from the show, with a higher-resolution insignia and title font. It’s worth noting that right at the end of the trailer, at the 0:57 mark, one could hear the distant sound of a cloaking device. Coincidence, or a subtle tease? Did we miss anything? 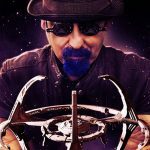 What do you think some of the set photos mean? Let us know in the comments!